(PEORIA, IL) The Most Reverend Daniel R. Jenky, CSC, Bishop of Peoria and President of the Archbishop Fulton Sheen Foundation, received word early Thursday morning that the 7-member board of medical experts who advise the Congregation for the Causes of the Saints at the Vatican unanimously approved a reported miracle attributed to the intercession of the Venerable Servant of God Archbishop Fulton Sheen. From 1950-1966, Bishop Sheen was the national director of the Society for the Propagation of the Faith in the United States, the Church’s primary missionary apostolate. 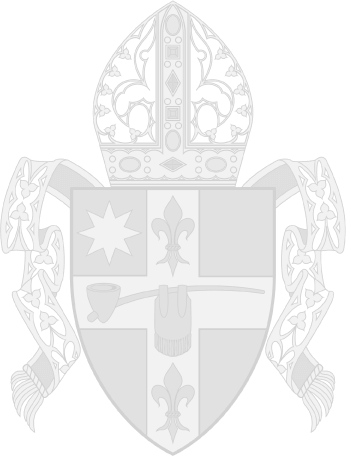 In 1966, he was named Bishop of Rochester of New York where he served until his retirement in 1969, when he was named honorary Archbishop by Pope Paul VI. Fulton Sheen died at the entrance to his private chapel in his New York City apartment on December 9, 1979. Pending further review by the theologians and the cardinals who advise the Pope through the Congregation for the Causes of the Saints, should Pope Francis validate this proposed miracle, Sheen could then be declared “Blessed” in a ceremony that could be celebrated in Peoria, Sheen’s hometown. Upon the Holy Father signing the decree for the beatification, an additional miracle would lead to the Canonization of Archbishop Sheen, in which he would be declared a “Saint.” For more information about Fulton Sheen and the Cause for his canonization, visit: ArchbishopSheenCause.org.